Garage rock outfit Pirate Sons dropped by the Edinburgh College studios recently to record a few tracks, and they shot a session video with EdinburghUndersound. Originally formed in New Zealand by front man Ceallaigh Corbishley. Pirate Sons began as a two piece ‘lets bang on stuff and see how it sounds band’ not really taking their musical venture that seriously. After the addition of a bass player who couldn’t (at the time) play bass, the band were now ready to take there musical careers to the next level and progress as a band. A move across the pond to Scotland’s capital city has lead to a line-up change and with it has come the development of their unique in-your-face-energetic-fuzzed-out rock sound that is synonymous with the charismatic three piece. Now comprising of a Kiwi, a Scot and an Englishman the band are serious as ever and continuing to secure themselves in the local scene as a hardworking, creative act and a band to certainly watch out for after a string of track releases, a video release and a bunch of reputable gig slots supporting The Fire and I, The Minutes and a recent headline slot at the Official Glasvegas gig aftershow party. Think The Cribs meets The Black Keys before they both got a bit too big for their boots. Described as ‘buzzing’ by The List. 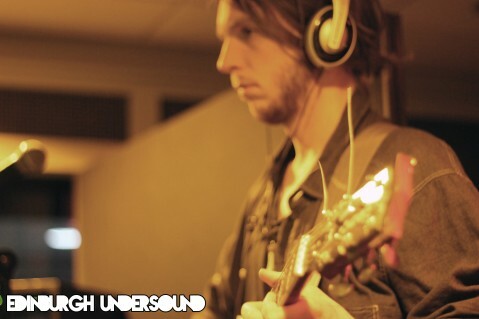 Check Tom, Ceallaigh and Angus out live at Broadcast in Glasgow on 08/03/2013 as main support for SOS.